2016 Waccamaw Heart Walk: Better get ready! Have you signed up to participate in the 2016 Waccamaw Heart Walk yet? What is the Heart Walk? 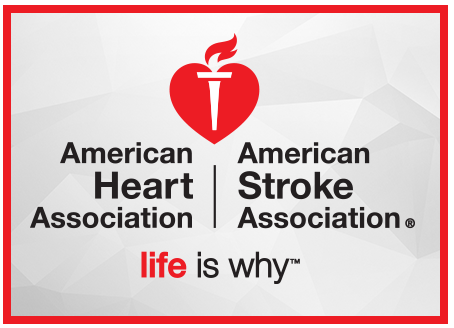 The Heart Walk is the American Heart Association’s premier fundraising event! The funds raised during this event will help to save lives from our country’s #1 and #5 killers. Do you know what those killers are? They are heart disease and stroke! 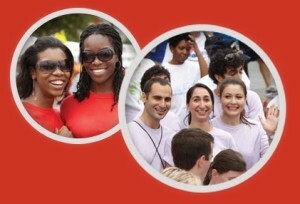 The Heart Walk is designed for the purpose of promoting physical activity and heart-healthy living. This year’s goal is to raise $255,00. We’re almost halfway there but in order to do it, we need your help! 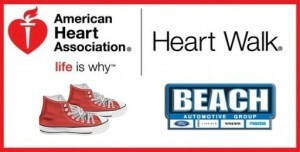 Help Beach Automotive help the American Heart Association at the 2016 Waccamaw Heart Walk. When is the Heart Walk? This year’s event is fast approaching! Beach Automotive is proud to sponsor the 2016 Heart Walk which takes place on the oceanfront here in Myrtle Beach. Meet us at Plyler Park on Saturday morning October 15th, 2016. Festivities begin at 9:00AM and the walk begins at 10:00AM. There will be a one mile and a three mile walk that are perfectly family friendly! You have the options of forming your own team, joining an existing team or walking as an individual. If you’re not able to walk or if you would like to donate to a team, please click here. Beach Automotive is super excited about this year’s Waccamaw Heart Walk. With this in mind, we want to see all of you there! In addition, one person will be chosen as winner of the Waccamaw Lifestyle Change Award sponsored by Beach Automotive. The winner will then be chosen by a selection committee and announced at the Waccamaw Heart & Stroke Walk on Saturday, October 15, 2016 at Plyler Park. The nominees are people who have been recognized as having made positive changes to improve their quality of life and health. Not to mention, they have influenced those around them to do the same. 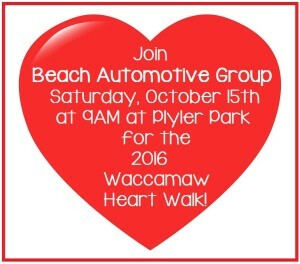 Join Beach Automotive and the American Heart Association on Saturday, October 15th, 2016 at Plyler Park for the 2016 Waccamaw Heart Walk! We will be there bright and early helping to raise funds for the American Heart Association! Get your walking shoes ready! In other words, we need your help! For this reason, click the link below to get started! 0 comment(s) so far on 2016 Waccamaw Heart Walk: Better get ready!